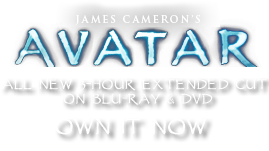 Cynaroidia decumbens | Pandorapedia: The Official Guide to Pandora | Own AVATAR on Blu-ray & DVD Now! Each flexible stem of a lionberry plant is topped by a single inflorescence bud that can grow to giant size. The buds are composed largely of aerenchyma, tissue filled with air spaces, and in the low gravity on Pandora are quite buoyant. Plants grow in patches, which gives the appearance of a garden of floating blue balloons. Taxonomy Cynaroidia decumbens. Named for resemblance to artichoke thistle on Earth (Cynara) and “lying down” growth form. Same genus as thistle bud and hermit bud. Botanical Description Large herb with large central flower cluster surrounded by narrow strap-like leaves. Buds are very light and appear to “float” above the plant. Ecology Spiny cactus-like leaves grow along the ground for protection from herbivores. Ethnobotany Seeds used for food, petals used for paints.